Written test questions for IKYF/US seminar in Minnesota are available. I am forwarding you the attached documents on the written test at the IKYF/US seminar in Minnesota. Please make sure to distribute this important information to your members/students who are attending the seminar and taking tests. Please read them carefully and pay attention the followings. 1) Confirm your "Tachijun/No. of your shooting order". It is listed the attachment of Shinsa numbers. 2) You have two questions and two answer sheets for each question; the question #1 and #2. Both of handwriting or word processing are accepted. I have received a response from Mr. Tobe (ANKF) about the languages that you can use. It is basically either English or Japanese as you have been notified already. Therefore those who are not familiar with writing in English or Japanese should write your answers in your mother tongue first then get your writings TRANSLATED IN TO EITHER ENGLISH OR JAPANESE. Please submit your original answer sheets that are written in your mother tongue together with the translated answer sheets. Hanare clipis from the 2015 All Japan Championships. Yoshiko suggested that all kyudo students could do "Mitorigeiko" (watch and learn practice) watching these videos. I hope this edition will find all of you having spent wonderful holidays and now you have been back to the normal everyday life and practice. Both the seminar and Shinsa application deadlines for the 5 th Asia Oceana Kyudo Seminar have been closed. There are two affiliated countries (Argentina and Brasil) that are sending their members and the total participants are 30 (29 testing). It is a good thing that so many AKR members are interested in the ANKF kyudo and encouraged enough to travel to Japan to study and improve their skill. There is no doubt that all of the participants must be excited to receive instruction from the excellent teachers in Nagoya. Please see the “From the AKR” section to find the breakdown of the participants. In order to make their opportunity more fruitful I would like to ask those who are teaching and responsible for their instruction at their dojos to visit the “Stipulations for examination” in the Kyudo Kyohon. Please study the description of each rank (P125 of English Kyohon and after P125 of Japanese Kyohon) and train your students. Please make sure that your first timers are able to do the “Five person test sequence” and shoot safely at 28m, which has always been the AKR criteria of attending seminars for the first time. There are 11 participants who will take the yon-dan test. Study well and enjoy learning from great teachers and meeting your old and new friends. I sincerely wish you all the best of luck. Please share the news in this edition with your members. 2) The 5th Asia Oceania Kyudo Seminar partipation: There are all together 30 people attending this seminar and 29 participants are testing. The breakdown of the participation are: Argentina/1, Brasil/2, MNKR/1, NCKF/6, SCKR/3, SoCKR/8 and VKR/8+1. Among the 29 participants testing shodan is 4, nidan/7, sandan/3, yondan/11, godan/2, rokudan/1 and renshi/1. Eleven AKR members are taking the yondan test which is remarkable. 3) 2015 AKR Roster: Should be done by now! <deleted> sensei is working hard to collect the information from all the AKR federations. Your cooperation is greaty appreciated and please do not forget to send the dues to the AKR treasuer. It is time to update the AKR roster. The info and the details of the procedure have been notified by the AKR secretary. Please read the note carefully and submit the roster + dues payment in time. You are requested to send the IKYF ID renewal fees ($9 per pserson) together with the AKR dues. Note: This AKR Roster update is co-managed with the IKYF ID renewal, so please pay extra attention to submit those different applications. 4) 2016 IKYF/AKR seminar update: visit www.mnkyudo.org and MNKR Facebook The AKR has received the official note on the 2016 IKYF/AKR seminar in Minnesota. Here is the info from the MNKR for you to read. The seminar/Test information will be updated by the organizer, so please pay attention to both the MNKR web site and the AKR website as well. I am pleased to invite you all to the 2016 International Kyudo Federation American Seminar. The 3-day general seminar will take place July 18th - 20th, with a rank examination on July 21st. We will once again be hosting the seminar at Carleton College in Northfield, MN Please see the attached letter of invitation and official announcements from the IKYF for the details. All seminar information is also available on our website at: http://www.mnkyudo.org/2016-ikyf- seminar/The cost for this 3-day seminar will be $410. While the planning committee wanted to keep the fee the same as last year, the IKYF insisted on raising the price to account for some of their costs. As more information becomes available, we will be posting update to our website and our MNKR Facebook page. I would also like to take this opportunity to thank those from outside the MNKR who volunteered to be on the 2016 Seminar Planning Committee, they have already been tremendously helpful and I look forward to continuing to work with them in the upcoming months. I’m looking forward to seeing all of you in Minnesota this July! Finally there was a couple of suggestions from one of the AKR members. He has good experience of tournament in Japan and his student as well. I asked <deleted> sensei to talk with this person and obtain ideas for further research to create tournaments in the US. 6) Creating a translation committee group: This has no challengers or volunteers yet (1/30/2016). 3) Fletching issue Mr. <deleted>, ANKF office manager, who accompanied the teachers for the 2015 IKYF/AKR seminar briefly, explained about the “Fletching Issue” and what points overseas students should pay attention to. Making a very complex story short, the guideline from the ANKF is that we cannot use the “Ojirowashi (White tail sea eagles) and “Ohwashi (Sea eagles)” at any ANKF events. “Feathers Certificate of Traceability” is available for those who have natural fletchings. Also, besides the above mentioned strictly protected eagles, owners should use this certificate to list the fletching that they are currently using and to carry the certificates with them when they travel. <deleted>. Please ask for more detailed information about this issue from the participants of the meeting. Those who attended this meeting are requested to share the information, which will help to prevent any violations in the future. 2) 5th Asia-Oceania Semina (Nagoya): Is now closed. All the test application forms, both pdf and original paper forms were sent to the ANKF office on the 27th of this month. Please go to “From the AKR” section to see the detail of the applications. The seminar Excel sheet application should be sent soon and also the payment will be taken care of by the AKR treasurer. Thank you <deleted> for taking care of the payment. 3) 2016 IKYF ID Renewal: Thanks to your cooperation the IKYF ID renewal has been completed. However the total fee will be sent to the IKYF on the 8 th of Feb. (as scheduled). 1) Development in Mexcio: The five groups have gotten together and have begun moving toward forming one national organization. It will not be long until we hear about the details of those five groups. I hope they continue to work together to accomplish their goal and I would like to ask <deleted> sensei to continue guiding them with his excellent knowledge and experience in kyudo. <deleted> san just finished another seminar in Chile. Thank you very much for your time and contribution to the kyudo community in the neighboring countries. The first seminar is in Mexico in Feb. <deleted> sensei will be teaching. 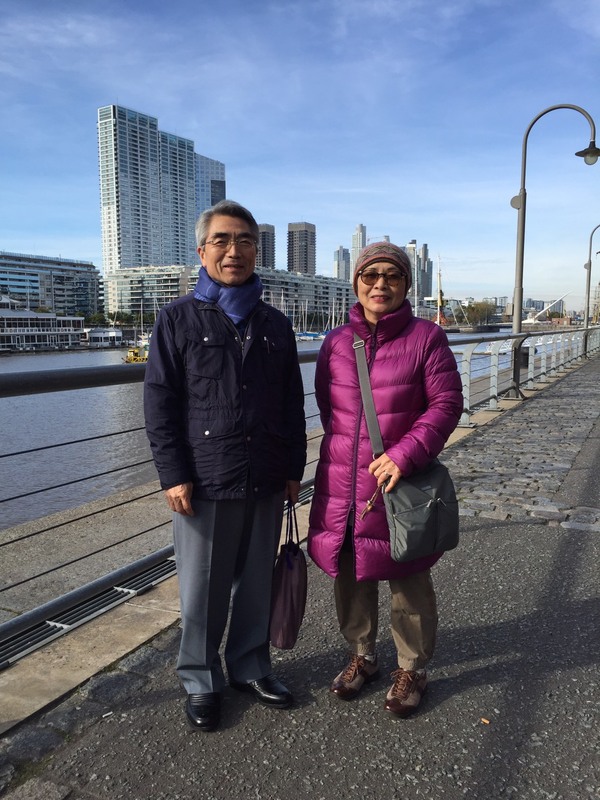 The second seminar is in Port Alegre, Brazil by Yoshiko sensei from 3/25-27. The 3rd seminar is in Buenos Aires. Kubota Fumiro hanshi 8 th dan will teach the Kyudo association of Argentina and kyudo friends from the neighboring countries from 5/25 - 27. Okabe 5th dan is invited by the Kyudokai Asuncion (and the Chile group for another seminar. It is very encouraging both domestically and to the kyudo friends of the affiliated countries.